Tesla isn’t doing so hot, the United Automobile Workers is going after opioid addiction, Fiat Chrysler is mulling mergers, and much more for The Morning Shift of Monday, March 25, 2019. CEO Elon Musk tweeted some news yesterday, as he does. It’s a bit hard to know what to make of this, since “inventory cars” aren’t cars that people customize and order online, they are cars that already made, sitting in a lot somewhere. But in any case, The New York Times said Friday that we already might have reached Peak Tesla, with the automaker in the midst of a sales slump. Tesla, in its defense, said that the data wasn’t very meaningful. 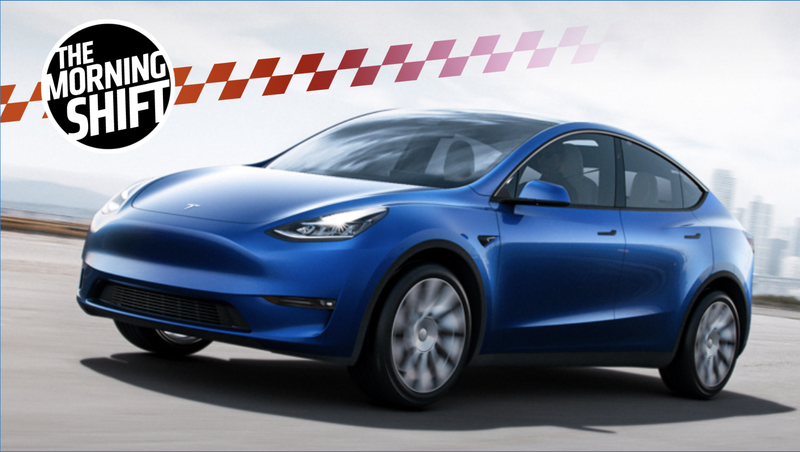 Tesla has put a lot of expectations on the boring new Model Y, and, well, at some point I begin to wonder whether this is the beginning of the end. The push by American-Italian Mr Elkann, 42, one of Europe’s most high-profile industrialists whose family’s holding company also controls US insurer Partner Re, football club Juventus and the largest stakeholding in The Economist, comes less than a year after the death of his longstanding chief executive Sergio Marchionne and amid a slowdown in the key Chinese market for its Maserati cars. Peugeot of France has been among potential suitors with whom Mr Elkann has discussed a deal recently, but nothing is imminent, said several people familiar with the discussions. Mr Agnelli has also held talks with Korean and Chinese automakers, according to people familiar with those talks. Mr Elkann and Mr Marchionne, prior to his death last summer, had made clear for several years their openness to a merger as they sought to confront pressures of tech disruption and consumer saturation in FCA’s home car markets. FCA is a weird company, but, sort of like Mazda, it does its niches really, really well, like Jeep. Long-term, though, that might not be enough, which Elkann seems to realize. Peugeot seems to make the most sense, at least for Peugeot. The appeal for Peugeot of a deal with FCA is strong, giving the French company access to the highly profitable US market and a significantly enlarged position in the booming sport utility vehicle segment. Peugeot however holds less appeal for FCA, in part because it is so heavily exposed to the stagnating European volume market. Both groups are also considered technological laggards in developing electric vehicles. I think this is all probably less urgent for FCA than it seems, as our electric and autonomous future is still likely decades off. But company executives report to shareholders, not bloggers. The car designer behind the Fisker Karma—which Justin Bieber tastelessly drove—the BMW Z8, and Aston Martin DB9 is hopeful about his future, and that of his company, Fisker Inc. Fisker said in an interview with Bloomberg last week that he’ll essentially be taking the Polestar route, producing a $40,000 electric SUV to take on Tesla. The car certainly sounds intriguing. Fisker’s sort of an Elon Musk type, but with a bit more cred. The last time I talked to him, he sounded many of the same notes. Drivable prototype by the end of 2019? We’ll see! Will Brexit ever happen? We don’t really know. But companies have to prepare for the possibility regardless, which, in Lotus’s case, means stockpiling a bunch of parts. That’s in case Britain opts to leave the European Union with no trade deals in place, which might mean a bunch of tariffs on imported goods but would definitely mean chaos. Volvo can be looked at as a model for the brand’s future. I’m a bit skeptical a hard Brexit will occur—possibly idiotically, I think everyone will come to their senses eventually—but Lotus is doing things a lot of British companies are doing, and should be doing, which is preparing for the worst. 5th Gear: Mitsubishi Is Doing ... All Right? No one really knows what the hell Mitsubishi is doing these days, as its neither here nor there when it comes to relevance, its alliance with Renault and Nissan being one of the few things that keeps it in the conversation. But according to Automotive News, all of that hasn’t hurt sales. In the U.S., the brand is riding a six-year streak of sales increases and a second consecutive year of sales surpassing 100,000 vehicles. Last year’s volume of 118,074, boosted by the introduction of the new Eclipse Cross crossover, was good for a 14 percent improvement. It was the brand’s best sales year since 2007. Meanwhile, Mitsubishi is making headway on a pair of key priorities underscored by Mitsubishi Motors North America CEO Fred Diaz, who took over in April 2018: making dealerships more responsive to customers and making headquarters more responsive to dealer concerns as it prepares to expand its retail network. The company finished third among nonpremium brands and 12th overall in the latest J.D. Power Customer Service Index Study, extending a run of improvements in dealer service. Who is buying all these Mitsus?! God bless you, whoever you are. Neutral: Will Tesla Make It? I feel like I ask the question once a week, and I probably do, but do you think Tesla will make it long-term? It’s still in startup mode, despite being a public company, in that it still does not have a reliable revenue stream or consistent profitability. Will it ever get there? I honestly don’t know!